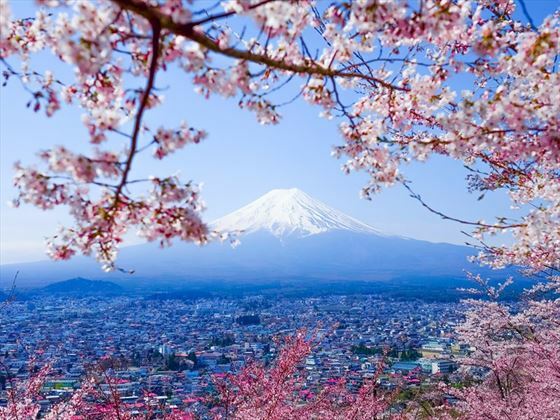 A country offering everything a true traveller could wish for, Japan will awaken your senses. 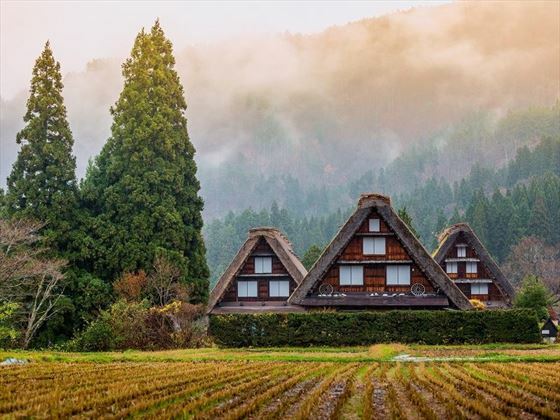 From vibrant cities with futuristic skyscrapers, to ancient temples and shrines nestled into luscious gardens or snow-topped mountain peaks. Prepare to be enthralled as you embark on a 7 day self-guided tour which will immerse you in all this incredible nation has to offer. You will explore vast World Heritage Sites and sacred shrines, experience wildlife and nature like never before, and you’ll be in awe at the blissful vistas that surround you on this wonderful adventure (DA). Upon arrival at Narita Airport, you will meet your driver in the arrivals hall who will assist you with your transfer to your hotel in Tokyo, taking around 60 to 90 minutes). After check-in, the rest of the day is at leisure. Your day will be spent exploring Tokyo City with a guided coach tour. You will start by visiting Tokyo Tower to enjoy panoramic city views before participating in a traditional Japanese tea ceremony. You’ll then take a stroll along the moat surrounding Imperial Palace Plaza. Board a boat for a 40-minute cruise along the Sumida River to Asakusa. Here, you can wander down the colourful Nakamise walkway leading to Sensoji Temple – Tokyo’s oldest and most famous Buddhist temple. 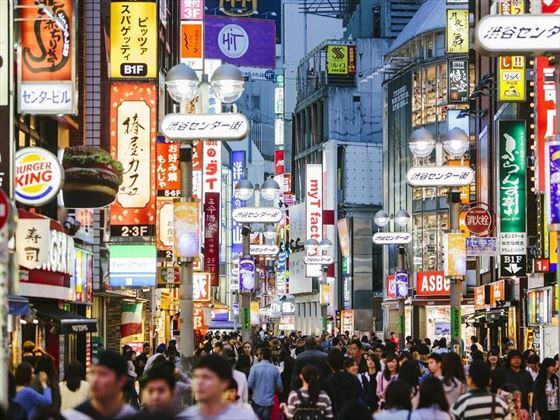 To finish the tour, you will pass through Ginza, Japan’s renowned shopping and entertainment district. Today you will embark on a full-day 11 hour motor coach tour. Leaving from Tokyo, you will take a stop at the Fuji Visitor Centre, followed by a trip up to Mt. Fuji’s fifth station reaching an elevation of 2,300 metres. 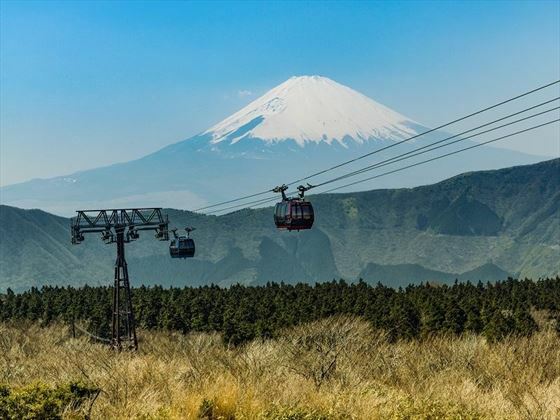 You will then take a cruise along the pristine waters of Lake Ashi, and a ride on the Komagatake Ropeway, treating you to panoramic views of Hakone National Park. 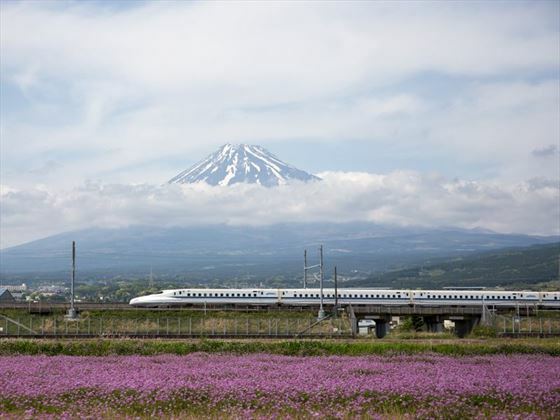 Your day will start with a ride on the world-famous bullet train to Kyoto. Capable of reaching speeds of 186mph, it should take around 2 and a half hours. The rest of your day is free to explore the streets of Japan’s former capital city. 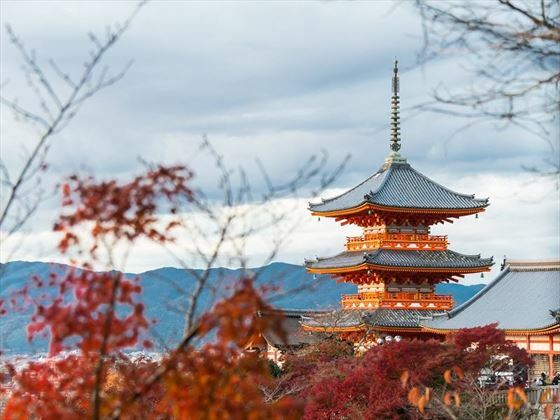 Enjoy a full-day 8 hour coach tour of Kyoto, Japan’s capital from 794-1868. The tour will start with a visit to Niko Castle, renowned for its beautiful gardens, and the Golden Pavilion which houses sacred relics of Buddha. You’ll then walk through Kyoto Imperial Palace and watch traditional Japanese artisans in the Kyoto Handicraft Centre. 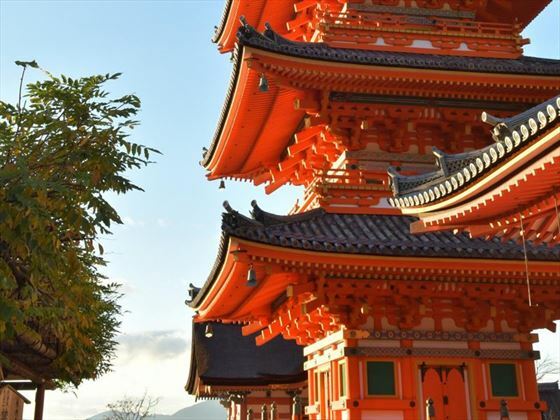 Visit the Heian Jingu Shrine and then head to the Sanjusangendo Temple, followed by the Kiyomizudera Temple. 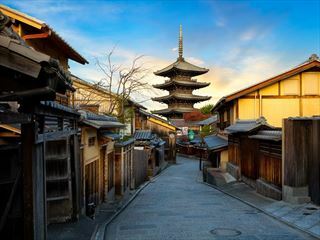 Today is free to explore Kyoto at your leisure. 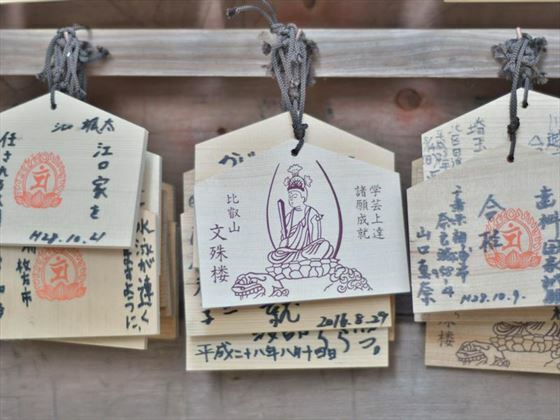 You may want to take part in an optional Nara Guided Afternoon Tour – You will visit two World Heritage Sites – Todai-ji and Kasuga Taisha Shrine. 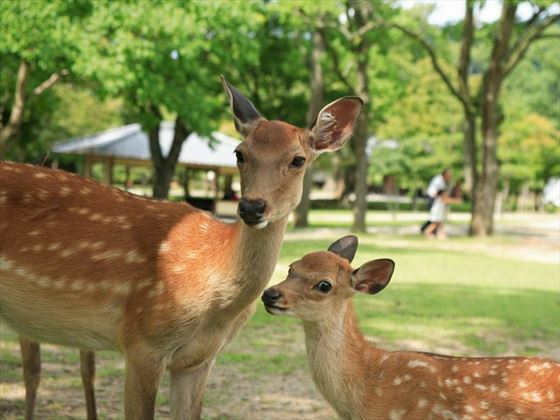 You will then get the rare opportunity to see wild deer up close whilst walking through the Nara Park before returning to Kyoto. Your day is at leisure until your shared transfer to KIX or ITM airport. 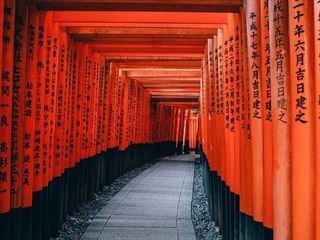 The Golden Route incorporates Japan’s must-see destinations into a 9-day escorted tour, featuring immersive cultural experiences and trips to some of this enchanting nation’s most famous sights. 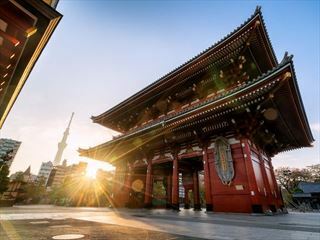 Starting and ending in Tokyo, you will explore a variety of spectacular cityscapes, ancient temples and shrines.